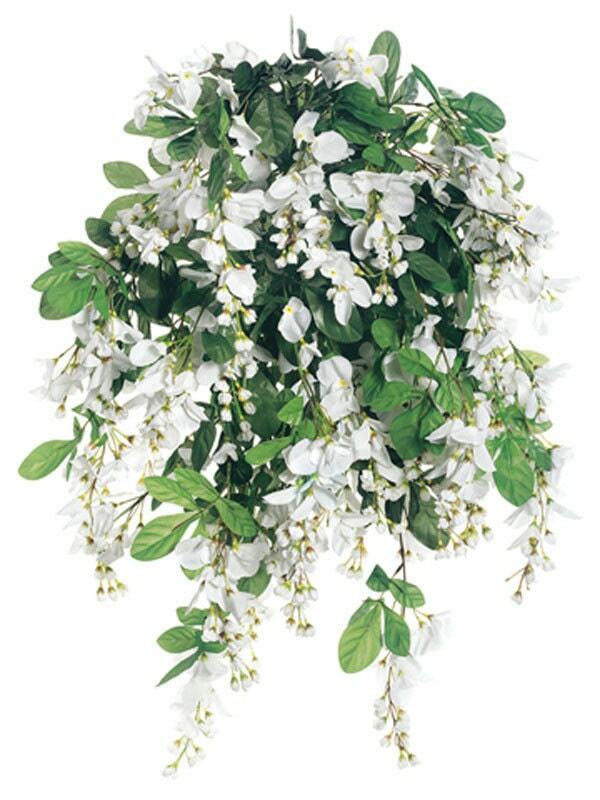 Silk wedding flowers 1- 31 inch long white Wisteria bush that has 45 branches. 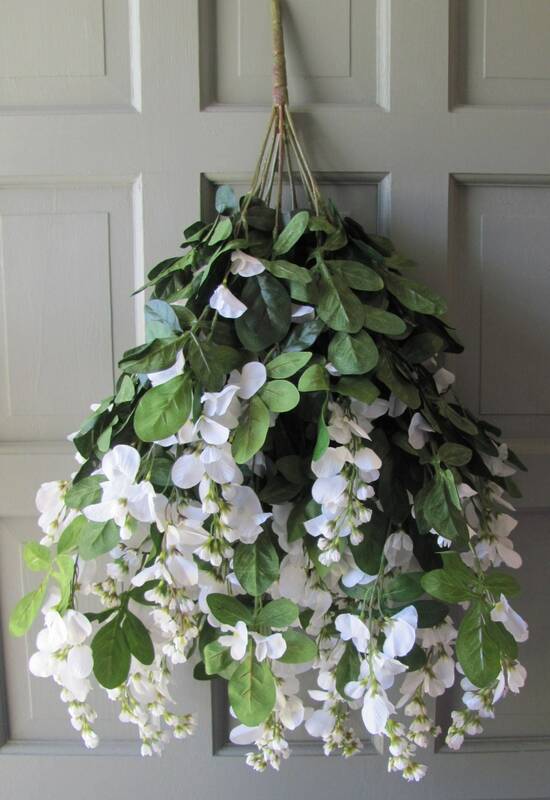 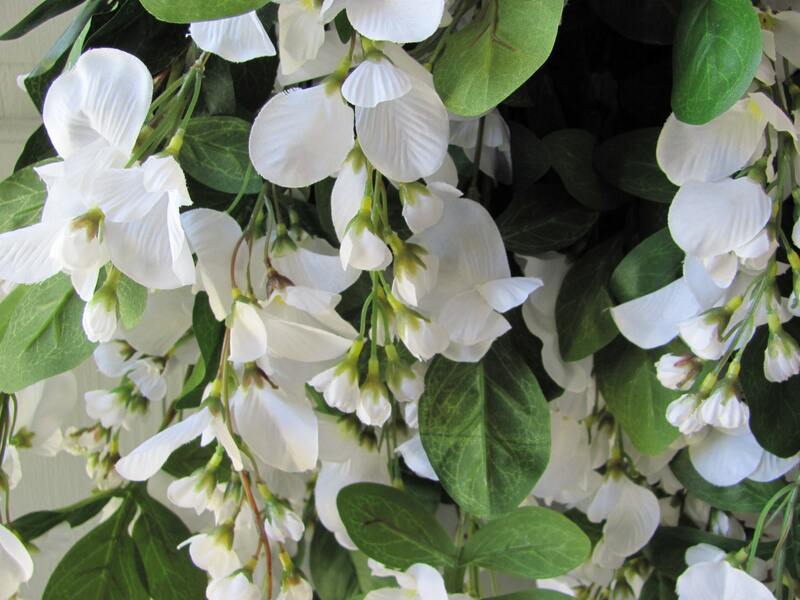 Wisteria is ideal for wedding decorations such as wedding arbors, archways, gazebos and railings. 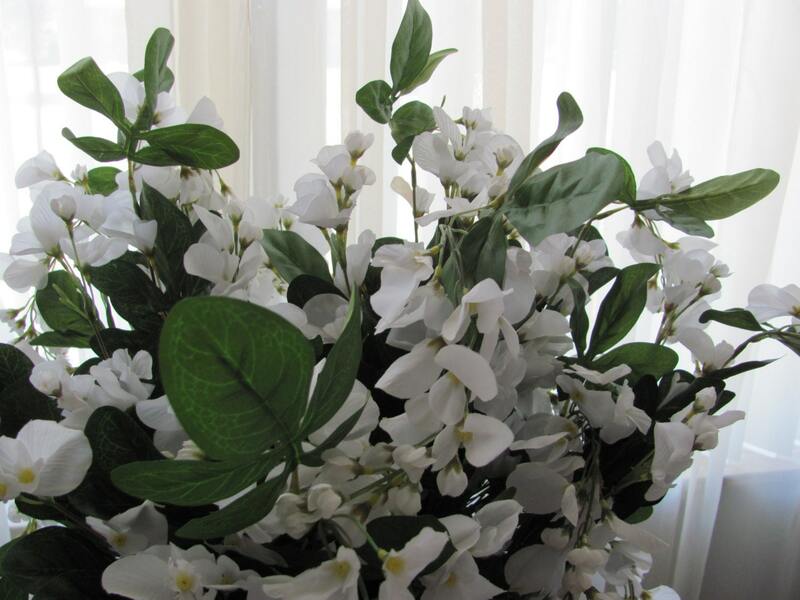 *The flowers are described in this listing as "silk flowers " - a phrase used universally to describe artificial flowers. 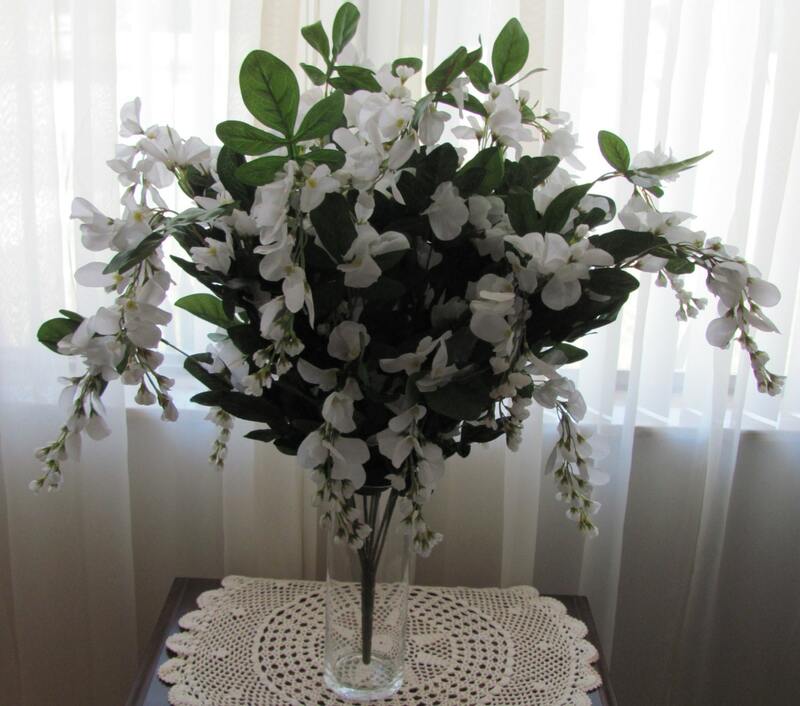 These flowers are made from fabric, however, THEY ARE NOT MADE FROM SILK.